Note: Associated American Artists: Since its creation in the mid 1930’s the Associated American Artists commissioned original graphic art from such great masters as Grant Wood, Thomas Hart Benton, Reginald Marsh and others. It published etchings and lithographs of no less stature during the 1960’s and 1970’s as contributing artists included Jack Levine, Chaim Koppelman, Joseph Margulies, James Kearns, Gregory Masurovsky, Jack Coughlin and Sidney Chafetz. 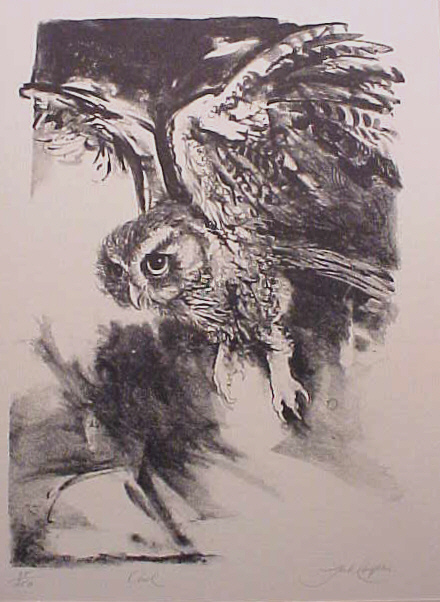 Coughlin is known to have contributed three original prints to the A.A.A. during this time.